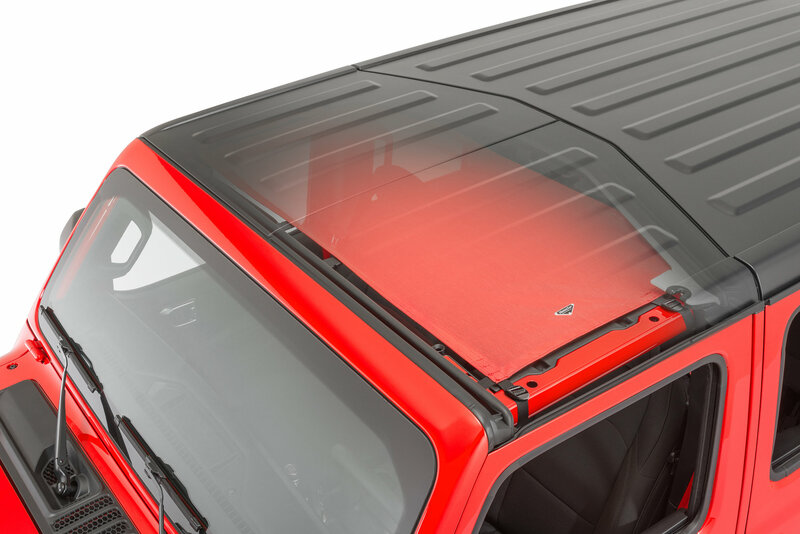 Easy Install: This top goes on in minutes, and once installed it never needs to be removed. 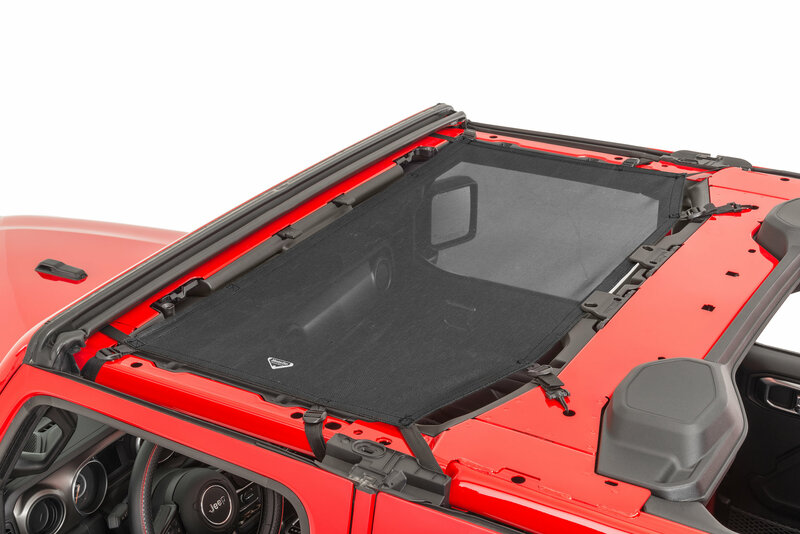 However, if you want to run your jeep without a top, this mesh top conveniently unsnaps and stores neatly out of sight. 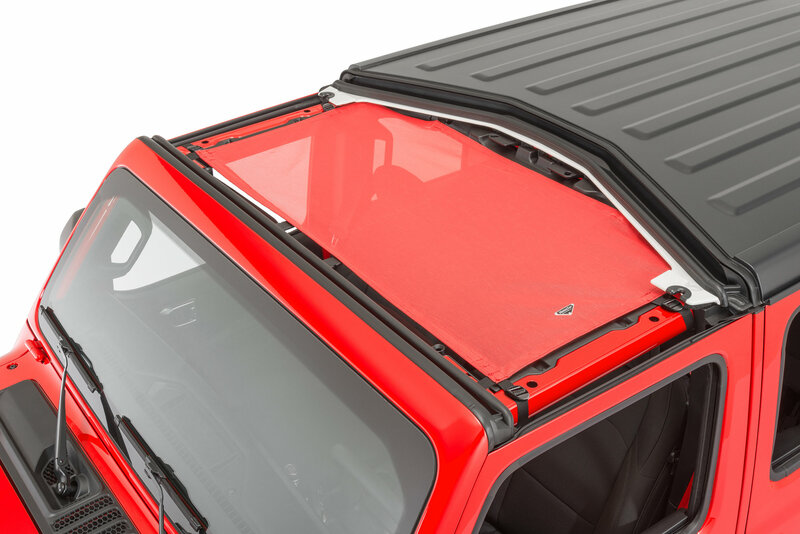 This product looks good when installed, installs quickly and blocks the sun great. 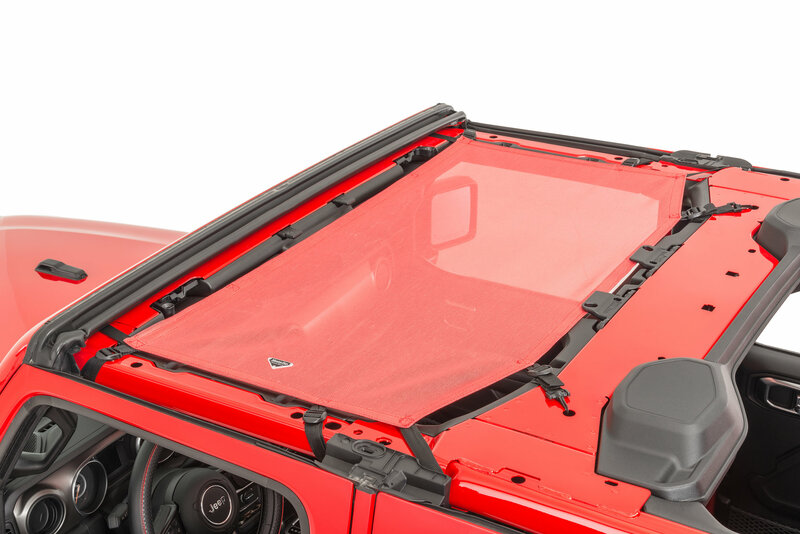 The issue I have is that you cannot access the freedom panels latches when you leave the mesh top on. 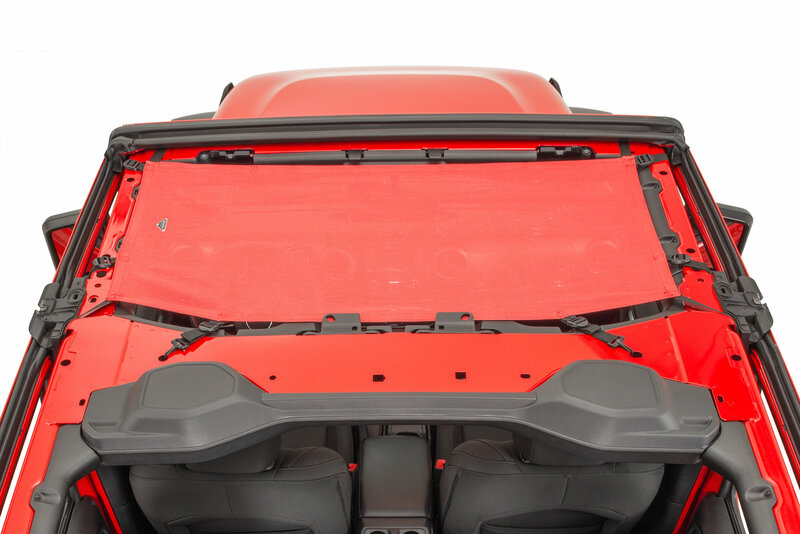 Also, the latch above the sun visor will cause it to stretch when latched. I ended up taking mine off and will be sending it back as soon as I can. 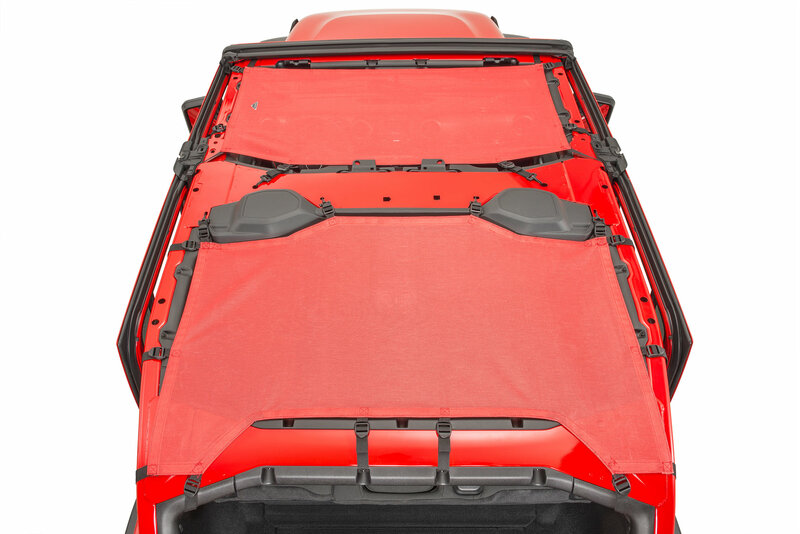 Can you keep the mesh top on and put the complete hard top front and back on as well? Can water/rain seep through? 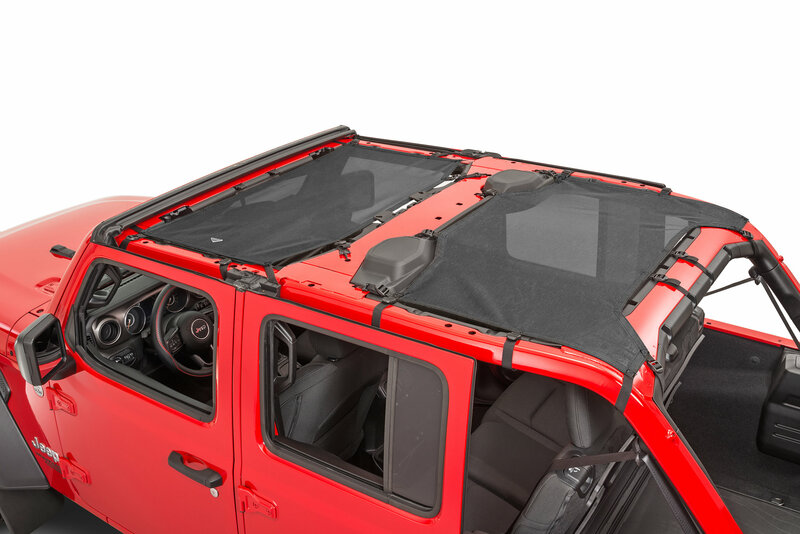 I'm looking for a quick fix if I happen to be driving without the hard top and it begins raining. I have a JLU Sport S with soft top. 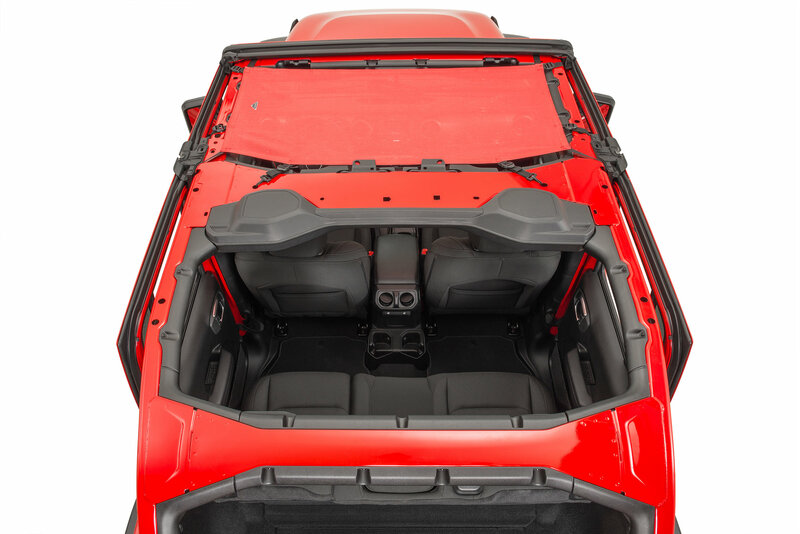 Can this be installed and stay on with the soft top? Unfortunately no. 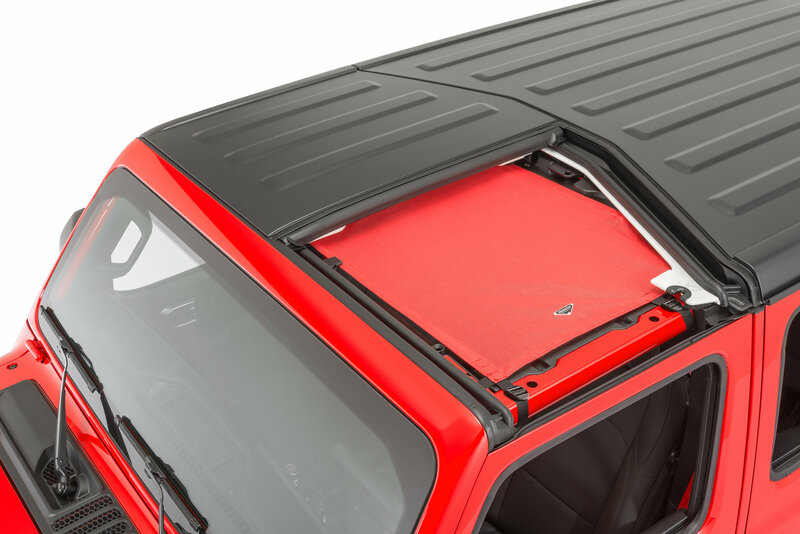 The bimini will restrict the soft top latches from being set to the closed position.